For over 35 years Nicholas Grindley has been dealing in and researching Chinese art, with a particular interest in furniture and works of art. Exhibiting in London, New York and Hong Kong, he has placed works in museums and private collections worldwide. 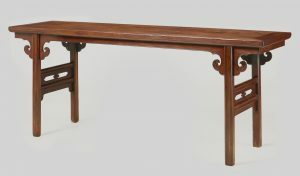 In 1996 he contributed to the catalogue of the Mimi and Raymond Hung Collection of Chinese Furniture and in 1999 he co-wrote the catalogue of Classical Chinese Furniture in the Minneapolis Institute of Arts. Nicholas Grindley is asked by museums in the USA and Europe to advise on the acquisition, cataloguing and re-attribution of Chinese furniture in their collections.